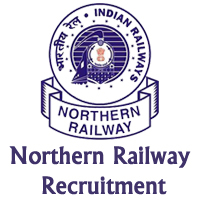 Northern Railway Jobs Recruitment Notification 2019.Northern Railway inviting applications for the positions of JE, Technician & Patwari Clerk.Interested and Eligible candidates can apply for the positions. a. All the retired Railway employees who have not attained the age of 64 years 6 months on the closing date of notification (ensure at least Six Months service is available after reengagement) for re-engagement purpose will be eligible. b. Such retired employees i.e applicant should not have undergone any major punishment (as per SF-5) in last 5 years. c. The re-engagement of Retired Railway employee shall be purely on temporary arrangement basis and will be terminated as and when regular employees are available. d. The re-engagement can be terminated on other grounds by giving 15 days notice without any explanation or any notice. Monthly remuneration of a retired employee being reengaged will be determined by reducing pension from his/her last pay drawn (i.e Basic pay +DA). Eligible candidates may send their application in prescribed format (attached below) to Single Window Cell/Personnel Branch of Baroda House, Head Quarter Office. Room No. 345 Personnel Department, 3rd floor, Annexe 1 Building, Baroda House New Delhi on or before 12 Feb 2019, along with The following documents. (a) Application in the prescribed Proforma with photo duly self- attested. (b) Self-attested photocopy of Pension Payment Order. (c) Self-attested photocopy of the Service.